Moneysupermarket.com CEO Peter Plum at his London office. JUST EAT the worlds leading Food delivery aggregator has announced that it plans to appoint Peter Plumb, the former boss of price comparison website Moneysupermarket.com, as its new CEO. On September 18, Plumb will replace Paul Harrison, the company’s interim CEO. Harrison will then continue in his permanent role as chief financial officer. 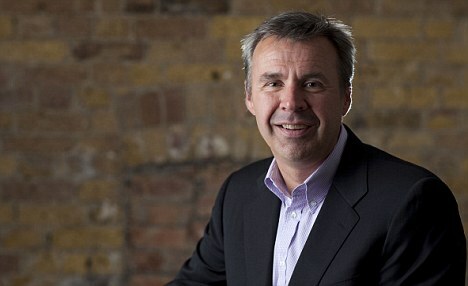 Plumb left Moneysupermarket.com in May after serving at the helm of the company since February 2009. During his tenure, Plumb led the acquisition of rival MoneySavingExpert.com, and more than doubled the company’s share price. Prior to Moneysupermarket.com, Plumb held a number of senior positions at Dyson, Disney, and Dunhumby. Plumb replaces David Buttress as CEO, who will remain on board as Non Executive director.